As I get back to the routine of being single, I realized that the pitcher size sangria is just not necessary and pretty wasteful. I don’t drink a lot, but I do enjoy sangria (you might remember this post with my original recipe) occasionally. So in an effort to save money and not drink too much (or become an alcoholic because sangria is just that good), I started making sangria in a cup. It’s really easy to do, the prep time is quick and I’ve taken out the need to cut up fruit or juice anything. Malibu coconut rum (I always hated this stuff til I tried it in sangria). 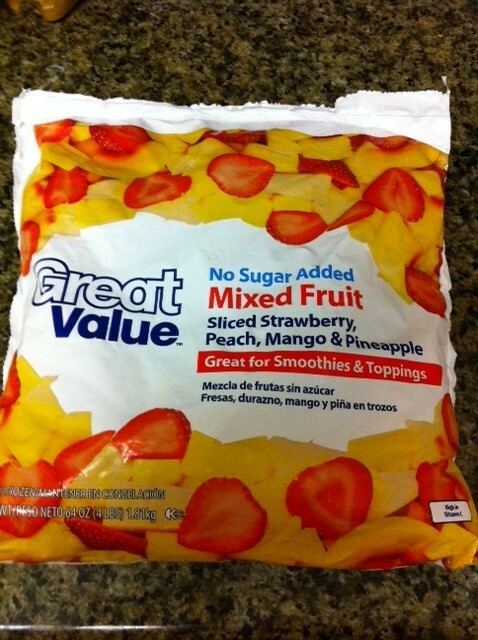 Bag of mixed frozen fruit. I use the one below from Wal-mart. A cup of your choice- I LOVE tervis tumblers. They’re the best! The keep things cold, you can buy lids and straws (which is perfect for storing the sangria in a cup). I use a 24 oz one. Put as much of the fruit as you like in the cup. 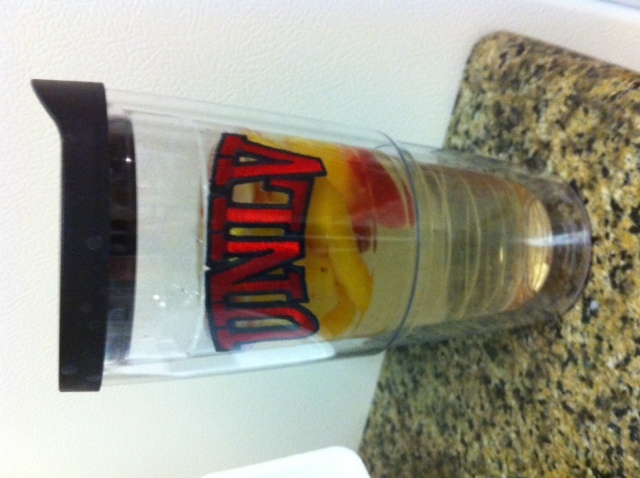 I’m not a huge fruit person so probably 1/4 of the my tervis tumbler. Pour in an oz or two of the malibu rum. Again it’s what you like so if you like coconut rum add a lil extra. Pour in the wine. Leave about an inch or so at the top of the glass. Put on your trusty tervis tumbler lid and put in the fridge. Let it sit until the next day (or if you’re impatient skip this step and go to the next). Fill the rest of the cup with sprite. If you’re single or live alone, do you make smaller portions of your favorite things? If you’re not single, do you make things more in bulk? For some reason I’ll eat leftovers from restaurants, but never when I cook myself. It’s so strange! OMG. This sounds like an amazing anecdote to a long day at work 🙂 I definitely want to try to make this when I get home!! !